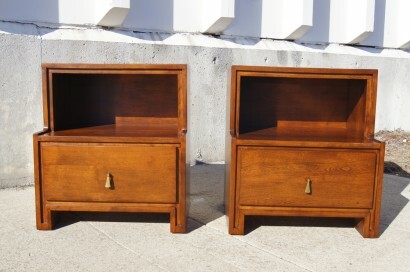 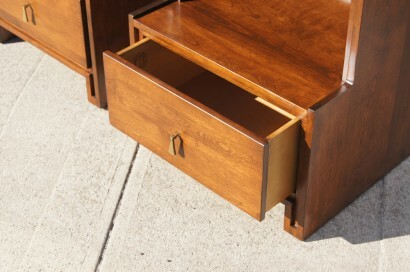 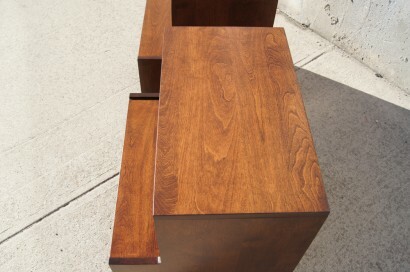 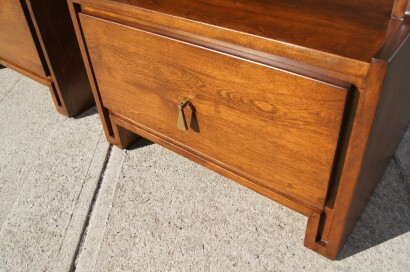 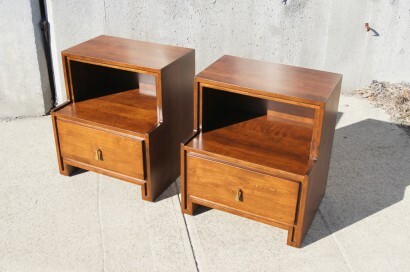 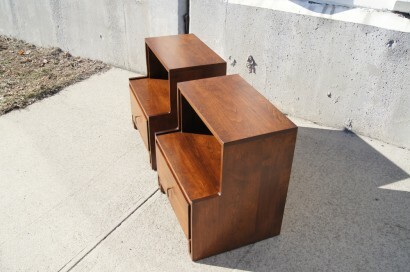 This pair of nightstands was designed by Russel Wright for Conant Ball. 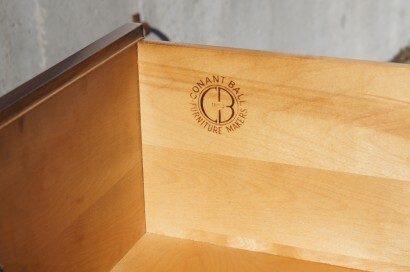 Each table features an open shelving area above a deep drawer with a brass pendant drawer pull. 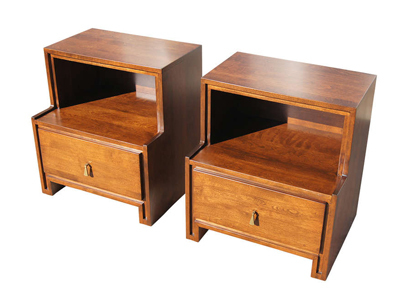 The upper shelf measures 22″ W x 13″ D.